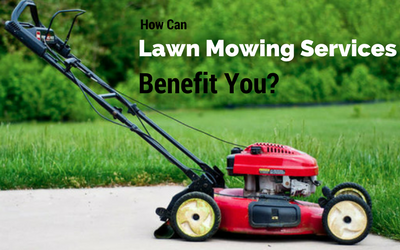 How Can Lawn Mowing Services Benefit You? Hiring lawn mowing services is a good practice as most of the business owners do not usually have enough time to think about such stuff, rather they need to handle important matters associated with work. Whether the need is to retain a beautiful lawn or achieve a completely new look of it, partnering with reliable lawn mowing professionals has a lot of benefits. The landscape of a property is the welcoming area for all the guests and clients. Thus, gardening services should be considered first. When you hire lawn mowing services in Frenchs forest your lawn automatically looks neat and clean, trees look greener and healthier while flowers bloom. It is not just hiring them but taking professional help to make your commercial building astounding that matters. This type of visual enhancement is very important for a property management as the first impression is the last impression. To provide good lawn mowing and gardening services, professionals work with specialised equipment and materials. Naturally, with quality equipment the service also ends in high class performance. You can achieve a completely new look for your garden or lawn. When you are hiring professional lawn mowers in Frenchs Forest, you are not paying for the services you will get, rather for the knowledge and skill they have. Commercial cleaners who are experienced in lawn mowing services have the necessary training to implement proper maintenance strategies for beautifying the exterior area of your property. The process is not expensive at all and can have a positive effect on your business. Preserving your landscape can be difficult if you do not have proper knowledge of gardening. In fact, some owners and inefficient gardeners over water or prune the trees and bushes closely. These small mistakes can pose a big issue later in the future. However, professional lawn mowers have knowledge of pruning which ensures better beautification. Consistent adoption of lawn mowing services is very crucial as the grasses in the lawn keep growing. Weekly mowing ensures proper and healthier growth of the grasses. With trimmed and greener grasses, your lawn would look like a green patch of wonder. Thus, the advantages are enjoyed by many people. Then why should you fall apart? Contact our professional team at Pharo Cleaning Services right away for effective lawn mowing services.